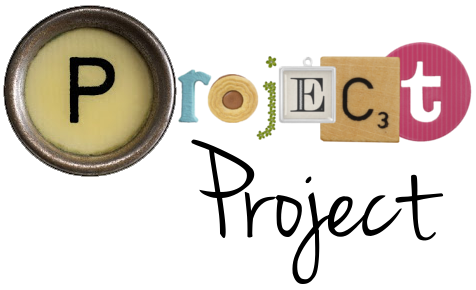 Project Project: Project Baby: Giveaway Winners! Seeing as our little guy is going to be two weeks old tomorrow, it seems like it's about time to post the giveaway winners! Date and time: February 16th, 2010 at 3:26 AM. Height: 21.5 inches/ 54.61 cm. Weight: 9 lbs. 6 oz./4266 gr. And I've included some photographic evidence for you. Which is a little blurry and hard to see, but I think that Espen's enthusiasm in this shot really makes up for it. He is excited about this competition. Sigrid, for her guess of 5.8 kg. That's 12 lbs.13 oz.! They would have had to air lift him out of there! Uncle Dan for predicting Espen would be six days late. Based on how I was feeling the day before he was born, I'm really glad he wasn't right. I'm not sure I would have made it! And finally, Liz and Merete for guessing he'd be born on Valentine's day. Much as that would be a cute and memorable day, I am so glad I don't have to spend the next 10 years worth of Valentine's days up to my ears in sticky children and birthday parties. Now Espen can have his day, and we can have ours. No Valentine's Day at Chuck E. Cheese for us! And now, the moment we've all been waiting for! Ladies and gentlemen, let me give you our winners! Date and time: Aubrey! She claims to be an awful guesser, but guessed within 40 minutes of Espen's arrival. Height: Tischia! With her guess of 55 cm, Tischia was less than 4 mm off Espen's height at birth. Weight: Stepper! She was right on the money with a perfect guess of 9 lbs. 6 oz. And extra props to Stepper for guessing that his adorableness would be off the charts. Obviously, this is true. Ladies, expect your prizes to arrive at some point in the future. Until then, please email me your addresses at tamsinrobole at gmail dot com. And now I will return to the foggy mists of new parenthood. Expect Project Project to be even more sporadic than usual as I attempt to figure out the logistics of motherhood. I'm hoping to eventually return this blog to it's usual format of both weekly and long-term projects, but until then, expect a spasmodic and ill-conceived mish-mash of whatever makes it from my brain to your computer screen. but I know I'll send you my address anway, just i case..
Hehe YEAH! I should be ashamed of myself! Even with your busy life of giving birth and becoming a new parent, you find time to blog! I, however, have failed and almost hit a two week mark since I simply moved and NO BLOG YET! Tamsin-Pie you are my blogging idol. can't blame you for wanting him to NOT be born on v-day...hehe. And mostly to you and nick for giving birth to an adorable baby boy..
Trine: Den som venter på noe godt, venter ikke forgjeves... Men det blir kanskje en god stund å vente! Wendy: Thank you, we quite like him ourselves!